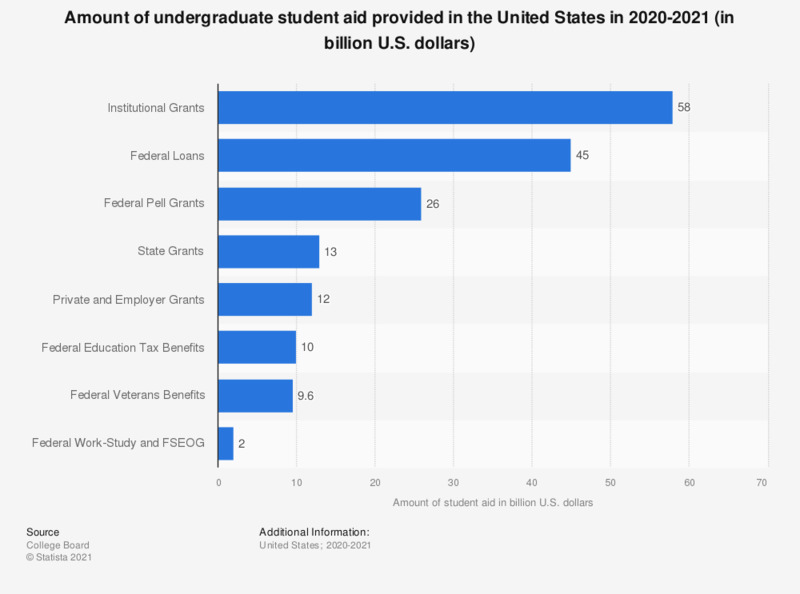 This statistic shows the amount of student aid offered by different federal, state and private sources to undergraduate students in the United States for the 2017/18 school year. Over this year, 28.2 billion U.S. dollars was offered to students in the form of Federal Pell Grants. Altogether, 184.1 billion U.S. dollars worth of student aid was provided across the country. In the United States student aid is funding that is provided to students to help them with education-related expenses such as tuition fees, accommodation costs, books and other supplies etc. Data for current year is preliminary. When doing your academic work, how important are the following e-book features?